Princess Cruises signed a deal with Italian shipbuilder Fincantieri for a new Royal-class ship to be delivered in 2017. The as-yet-unnamed, 3,560-passenger ship will be a sister ship to last year’s Royal Princess and this year’s Regal Princess, two “exceptionally successful” ships according to Princess officials. Expect a lavish, three-deck Piazza; a posh, adults-only Sanctuary sunning area; balconies on most cabins; and Movies Under the Stars, among key features. Princess officials said the new ship will also bring some brand-new innovations. For those keeping track, the new Princess ship is the only ship on order across the Carnival Corp. brands for 2017. Cost for the ship is about 600 million euros. Having experimented with packaging cruises with hotels and air and various other value-added pricing offers, Norwegian Cruise Line is going the next step – giving passengers the option, for a limited time, of all-inclusive pricing. 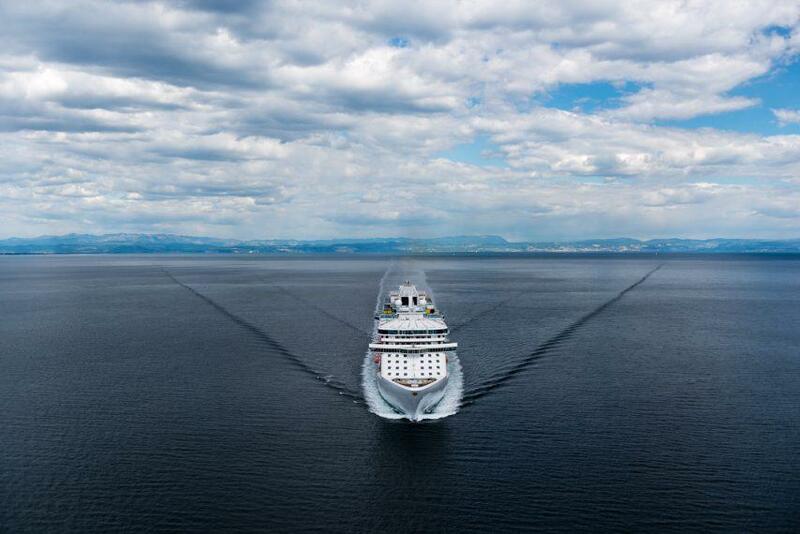 It’s a highly unusual move for a mainstream cruise line. Norwegian says passengers can save up to $2,400 by choosing the all-inclusive package, which can be booked between August 4 and August 29 for most cruises in 2015. Here’s how the deal works for a one-week cruise: Pay an all-inclusive fare and included is a 10 percent fare discount, specialty restaurant dining every night, an alcoholic drinks package, unlimited soda, and all crewmember gratuities. You also get a $200 credit toward shore excursions and a 250-minute Internet package, a photo package, and other extras. Aboard Celebrity Summit this week cruising to Bermuda, we’ve been experiencing Celebrity Cruises’ new program with the TV show Top Chef first-hand. We’re happy to report Top Chef at Sea is a winner. Passengers are eating up the opportunity to hang out with chef’testants from the Emmy Award–winning Bravo TV show – including at sold-out private cooking classes ($15) in the galley and dinners ($195) in The Normandie specialty restaurant. A Quickfire Challenge, as on the show but this version involving passengers, was a hilarious event that drew a packed crowd in the theater. Hundreds of passengers also attended free cooking demonstrations by the chefs, who shared behind-the-scenes tidbits from the show (such as the fact that a lot of drinking goes on). Celebrity has three more Top Chef theme cruises on the calendar for this year – including a Europe cruise next month. All of the line’s ships are debuting the Quickfire competition as well as a menu in the main dining room one night from which you can try various dishes created on the show. Carnival Cruise Lines is now the official cruise line of the Dallas Cowboys, under a multiyear deal. Having recently announced it would add a third ship year-round out of Galveston in 2015, Carnival officials said the cruise line plans to be “highly visible” to fans of the NFL franchise, including with signage and giveaways at games. Princess Cruises signed a partnership with world-renowned chocolatier Norman Love for a new shipboard program featuring chocolate – as in custom-crafted desserts in main dining rooms, chocolate and wine pairings, chocolate cocktails, chocolate spa treatments and chocolate bites. The sweet perks will debut when Regal Princess launches its Caribbean season in November, and rollout to the rest of the fleet next year. Seabourn passengers can now download complimentary, same-day newspapers and magazines from around the world (choosing from more than 2,500 titles) on their mobile devices – the result of the line’s launch of PressReader Offline, a customizable digital newspaper and magazine service.